The Flymo Visimo has a 32cm metal blade adjustable to 3 heights from 20 - 60mm, powered by a 1200 watt motor, passing and compacting clippings in the 29 litre collection box with vision window, so you know when the box is full. Cutting over lawn edges is easy with the rear roller which produces a traditional striped lawn finish. 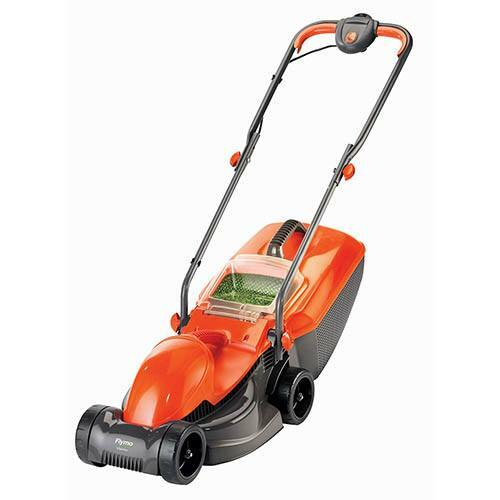 This mower only weighs 8.3kg making it easy to carry with the integral handle.